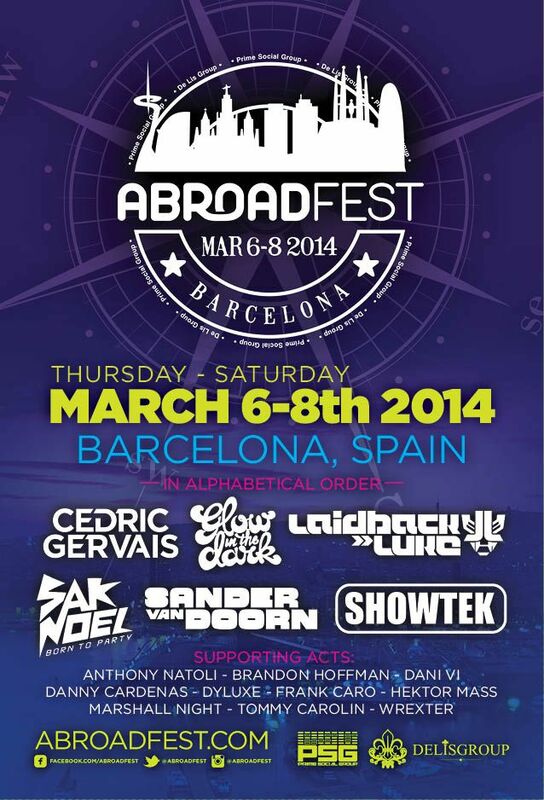 -AbroadFest Night 2 with Cedric Gervais at Teatre Pricipal is SOLD OUT! Due to high demand, we’ve added a second event at Opium featuring GLOWINTHEDARK! Tickets are on sale now! -Announcing Sak Noel as the headliner for AbroadFest Night 3 at Sotavento (Sat. March 8)! This event is SOLD OUT, but due to high demand we’ve added a second event this night at Opium that is FREE! -Finally, we’ve added a 3-day package for event at Opium only! All tickets can be found here: http://abroadfest.com/tickets/ – don’t wait too long! Tickets are running VERY LOW!